do you know if there is a Proxmark3 component list? I'm interested in the one for the Easy version, but should be good the RDV2 too. I have the suspect that I have a broken 16MHz crystal on my PM3 Easy; I would like to try to replace it, but without a specific code I don't know what to buy. If I search in online catalogs, like RS component, after filtering for frequency and dimensions, to get the right replacement, I need to choose also frequency tolerance (+/-10...+/-50ppm), load capacitance (8....20pF), series resistor (60-150 Ohm) and frequency stability (+/-10....+/-50ppm). On RS components I have found the ABM8 series (not ABM9) that also have the same dimensions of mine (3.5x2.5mm Vs 4.0x2.5mm). I have just bought the p/n ABM8-16.000MHZ-10-1-U-T (you suggested ABM9-16.000MHZ-10-D-1U-T). All right, it should at least be close enough to match the pads. My caliper measured the crystal as 4.0x2.0mm, but a half mm here or there shouldn't cause too much trouble on this board. I expect the ABM8 will meet the needs as well as the ABM9 could have done. 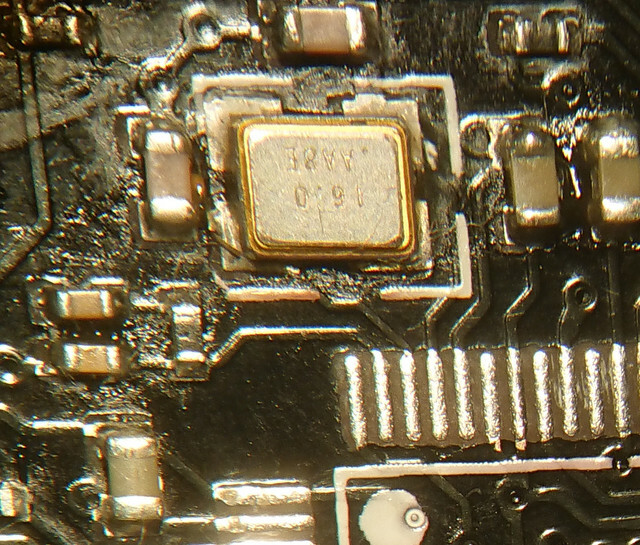 I confirm that ABM8-16.000MHZ-10-1-U-T is a working replacement for my PM3 Easy (16MHz crystal) and it fits perfectly the pads on the PCB. Excellent. It looked from the specs like it would be a proper replacement. I'm glad we now have that confirmed.